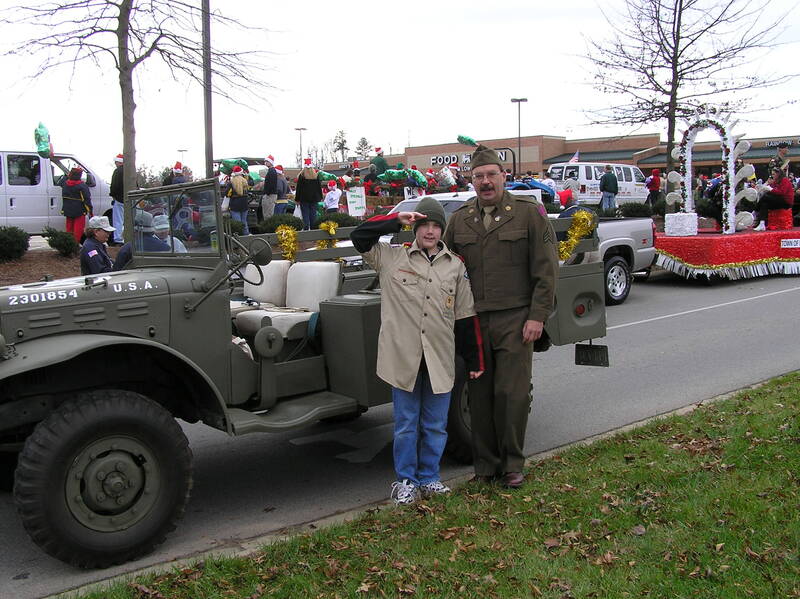 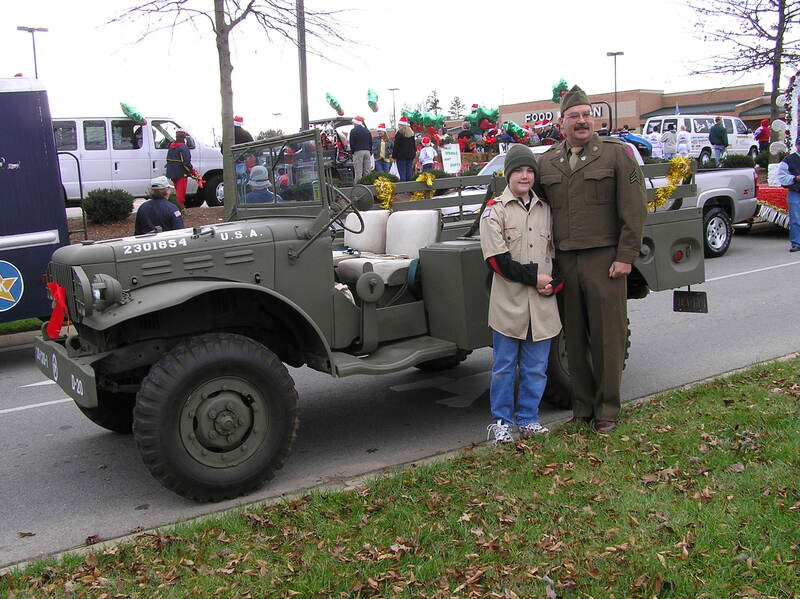 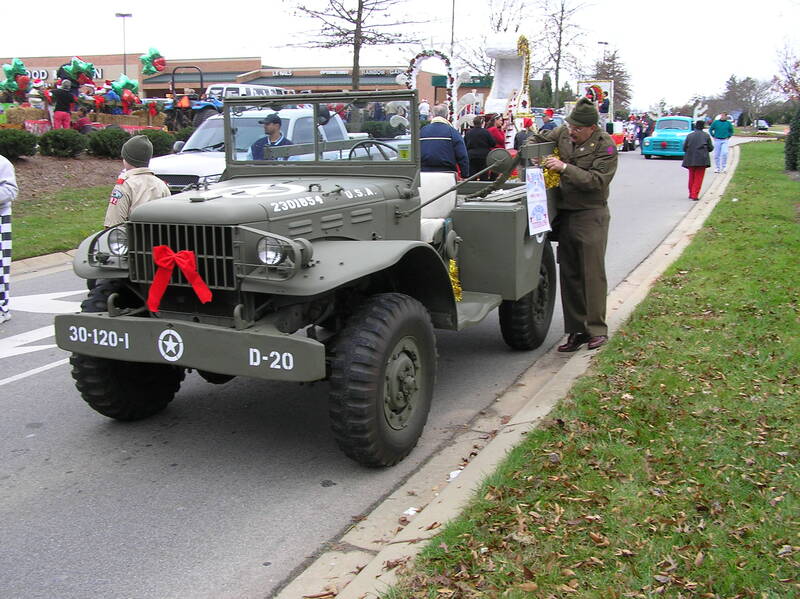 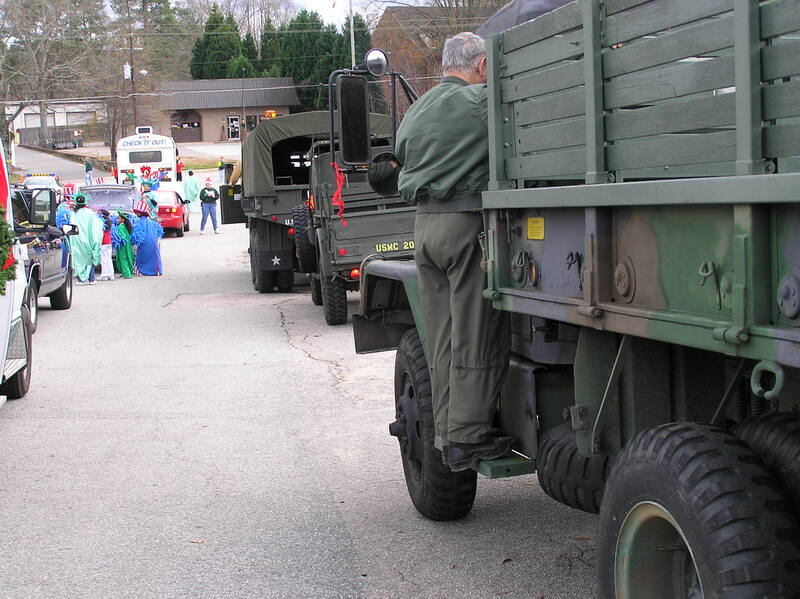 These are some photos taken at the 2004 Cary Christmas parade along with a few from the Holly Springs Christmas Parade. 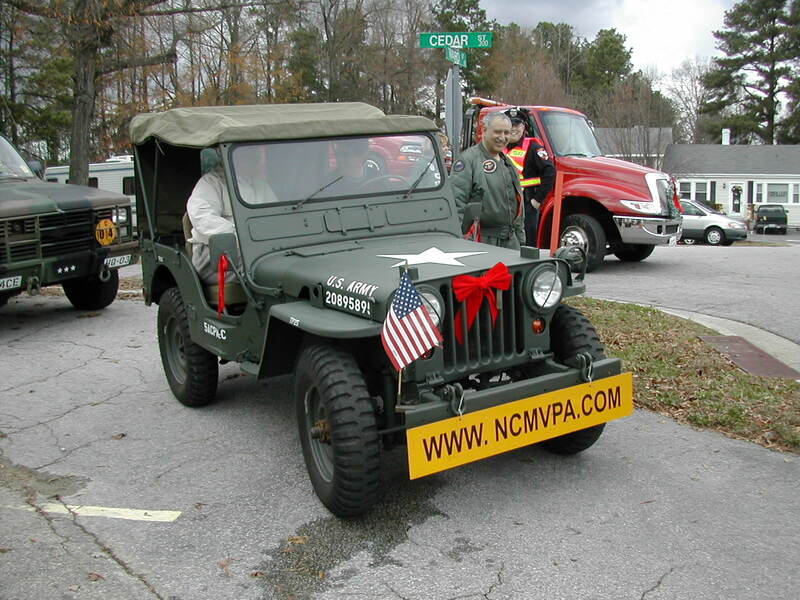 Although the NCMVPA participated in the Garner, Apex, Fuquay-Varina, Holly Springs, and Cary parades this year, I forgot to take my camera with me on the first weekend of parades, and my battery died on me during the Cary parade. 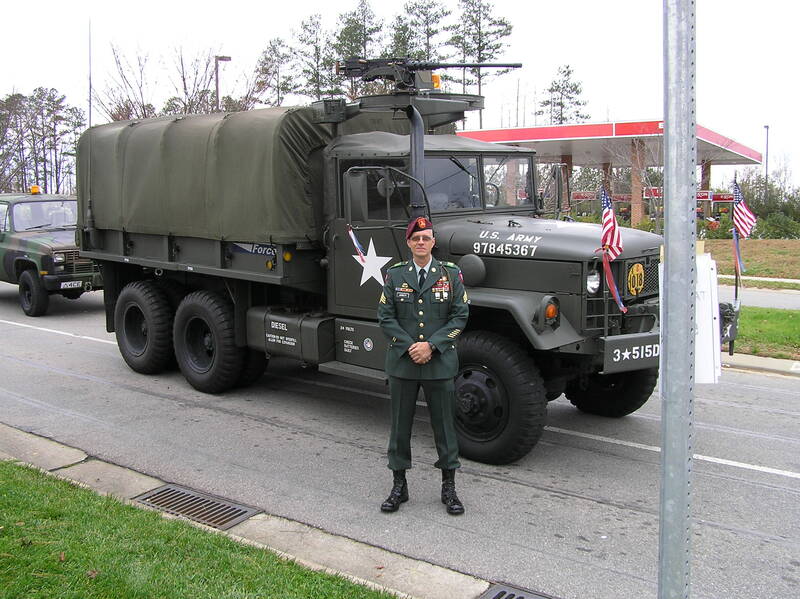 Some of the photos on this page were sent to me by "Tonkadoctor" who drove up from Fort Bragg to join us in the parades (driving Amnon's Blazer since his own M37 is not ready for action yet). 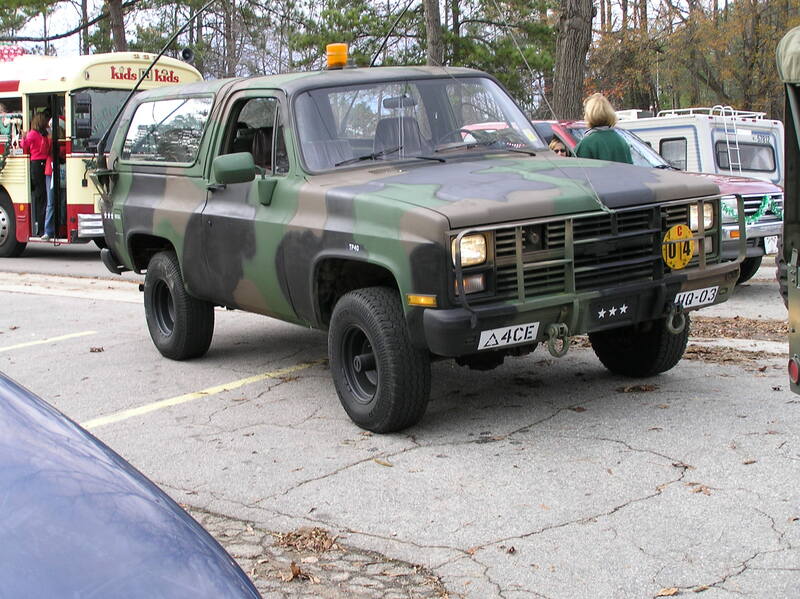 Photos 1-18 are by "Tonkadoctor" while photos 19-27 are mine. 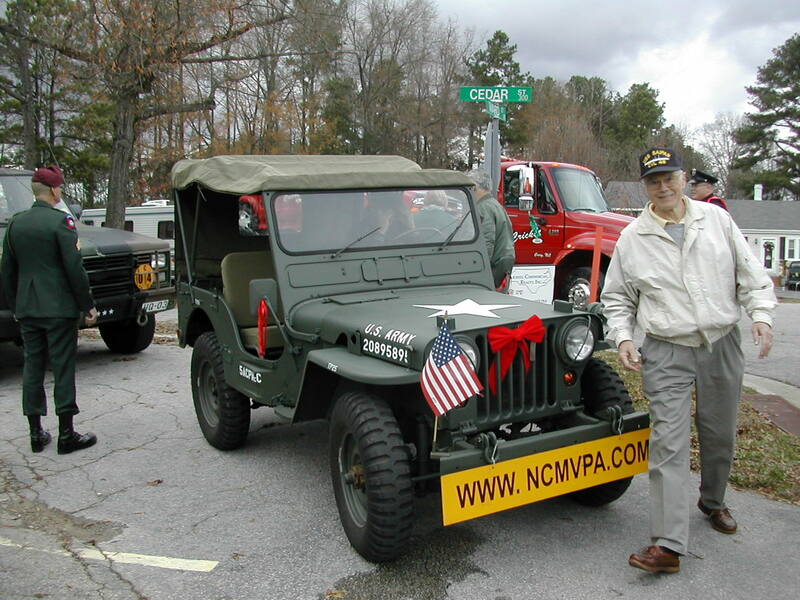 Other photos taken during events may be found on the NCMVPA website. 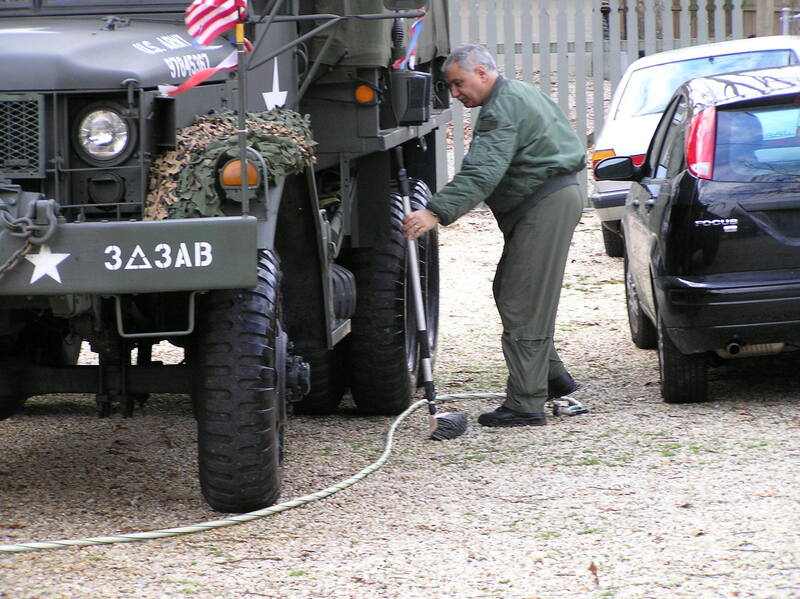 1 Amnon's M35A2 in his driveway getting spruced up for the parades. 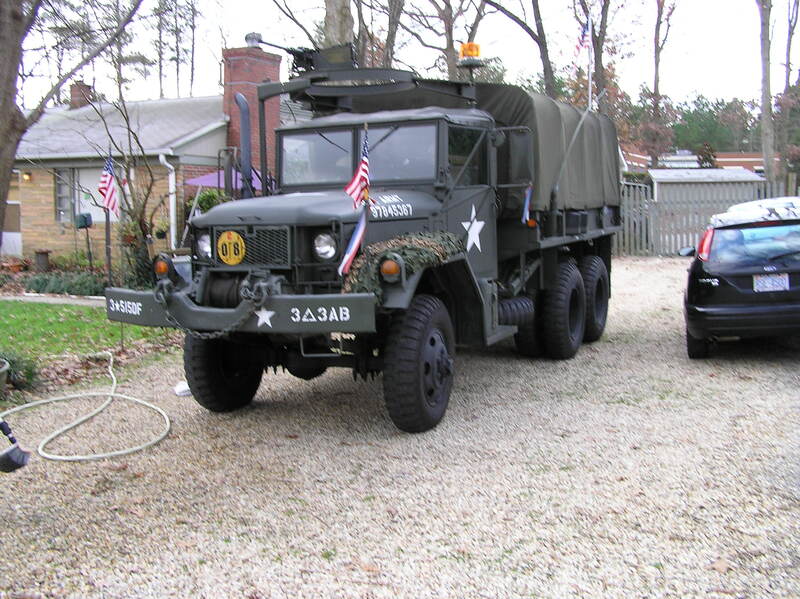 2 Amnon's Blazer in his driveway, ready for "Tonkadoctor" to drive it in the parades. 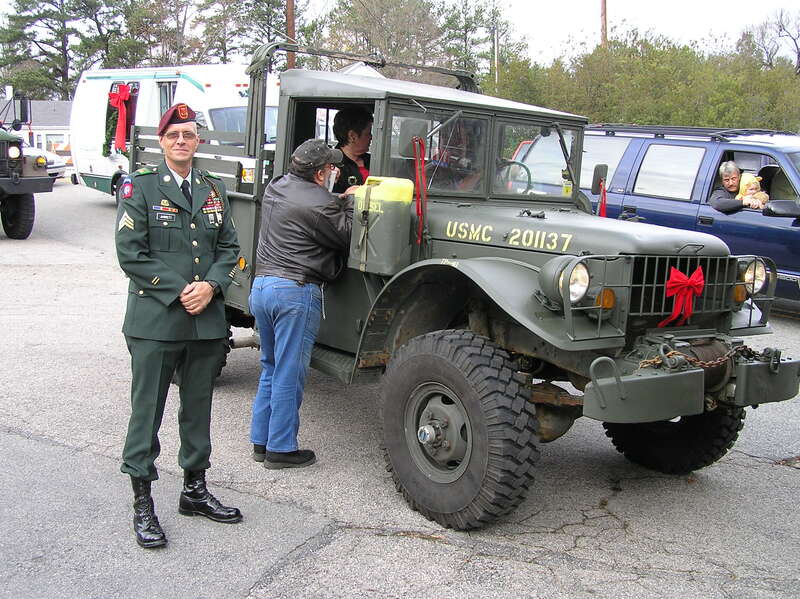 3 Amnon scrubbing away on his deuce. 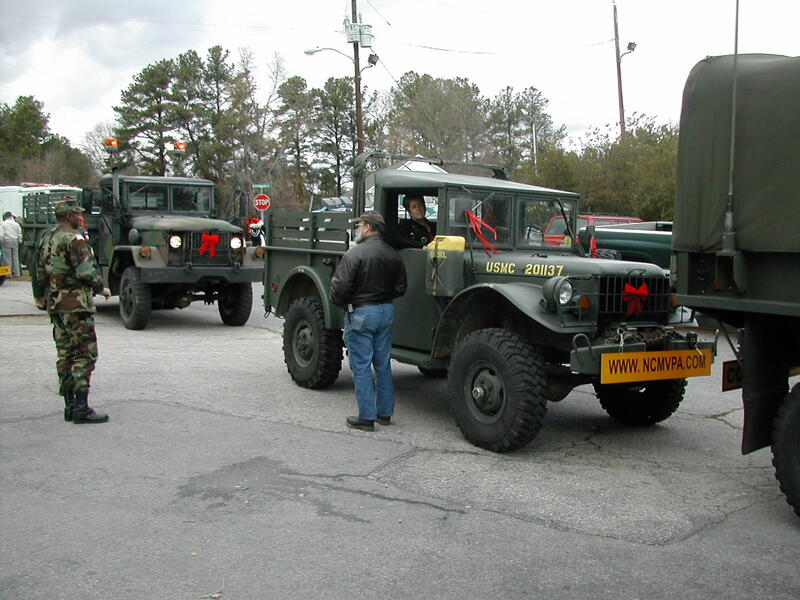 5 Courtney's WC51 in line at the Holly Springs parade. 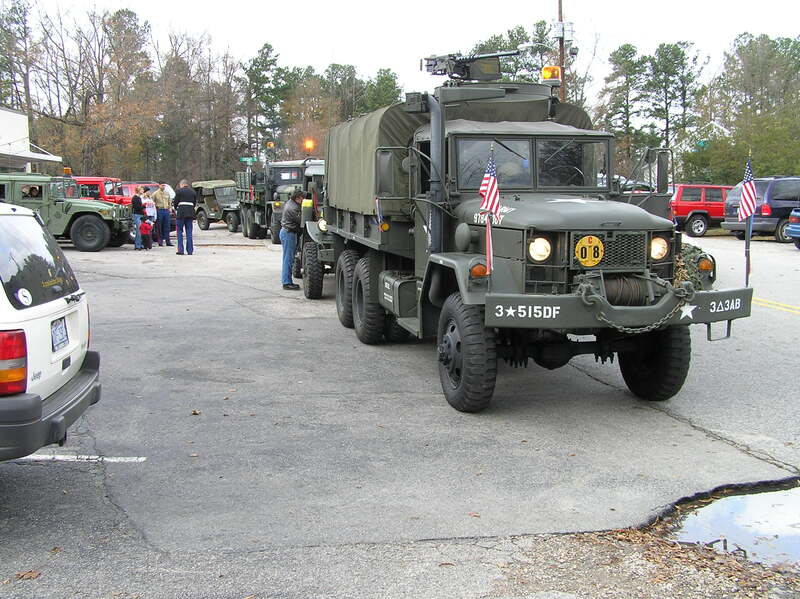 6 Holly Springs parade line up. 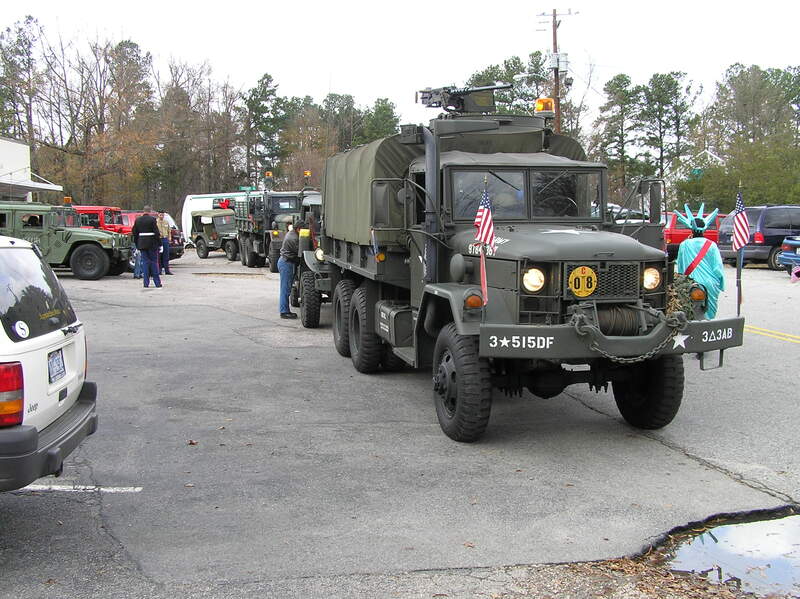 7 "Tonkadoctor" in front of Amnon's M35A2 at the Holly Springs parade staging area. 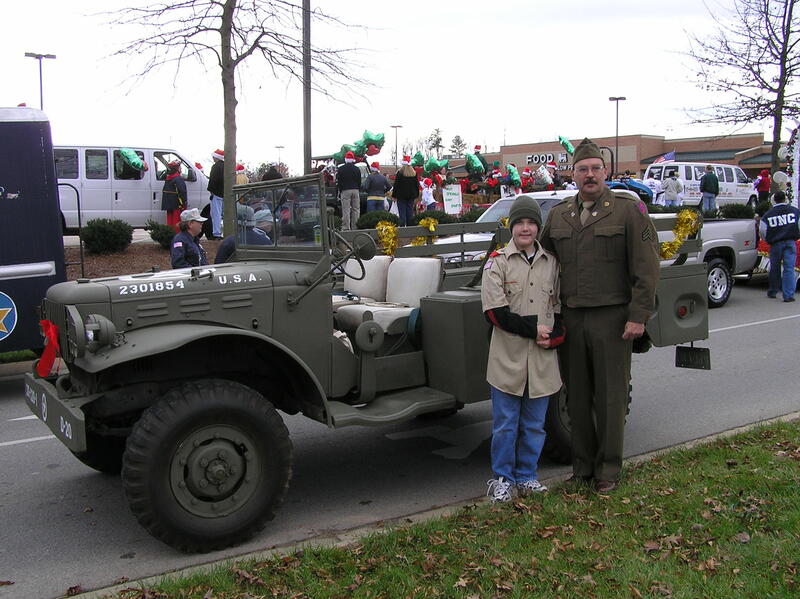 8-10 Courtney and son in front of the Dodge in Holly Springs. 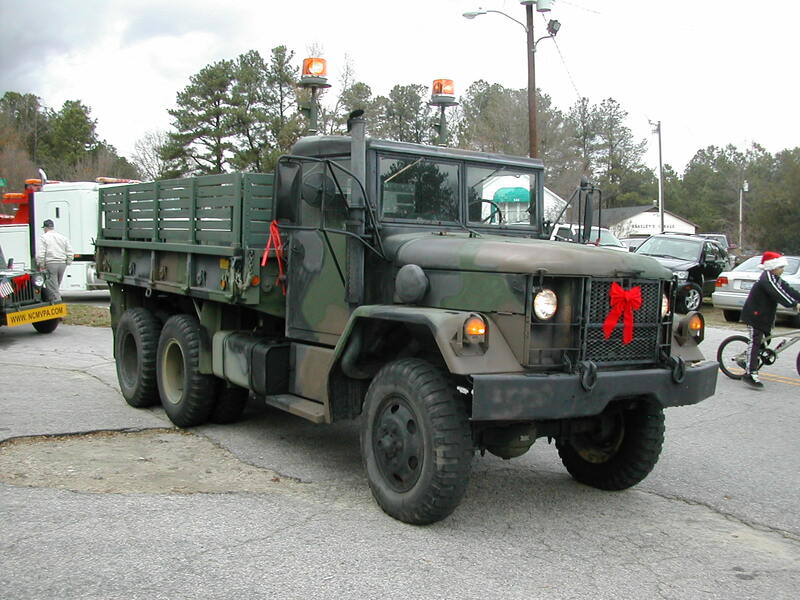 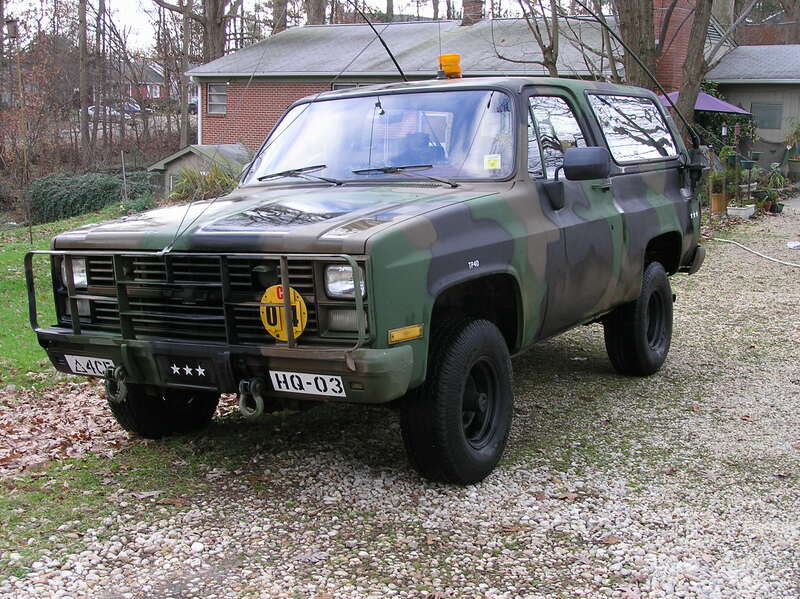 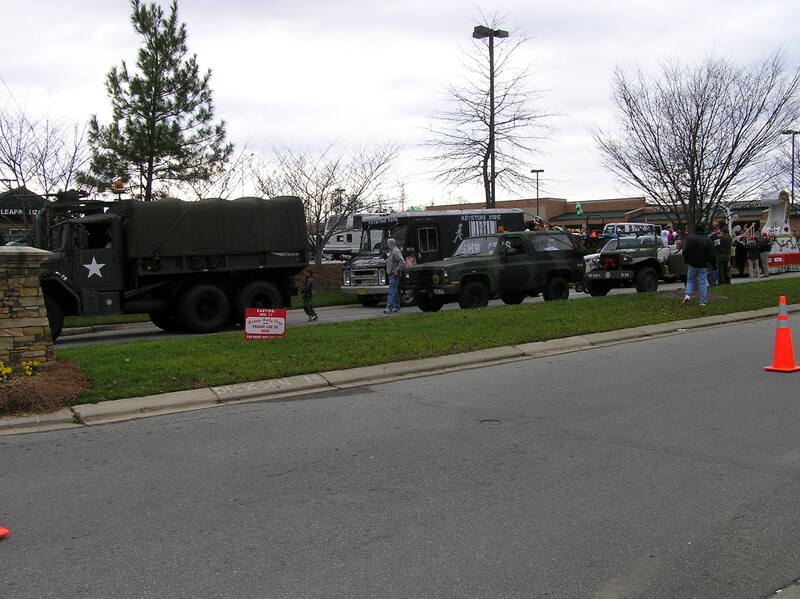 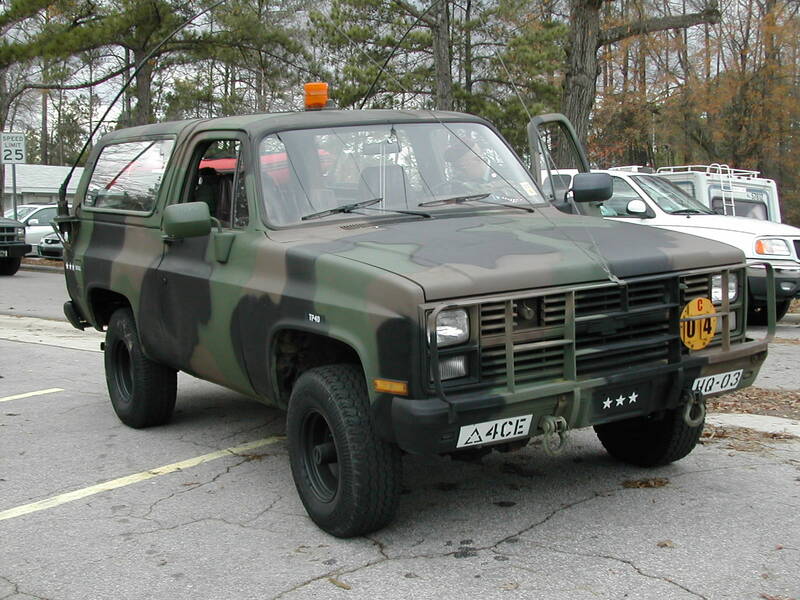 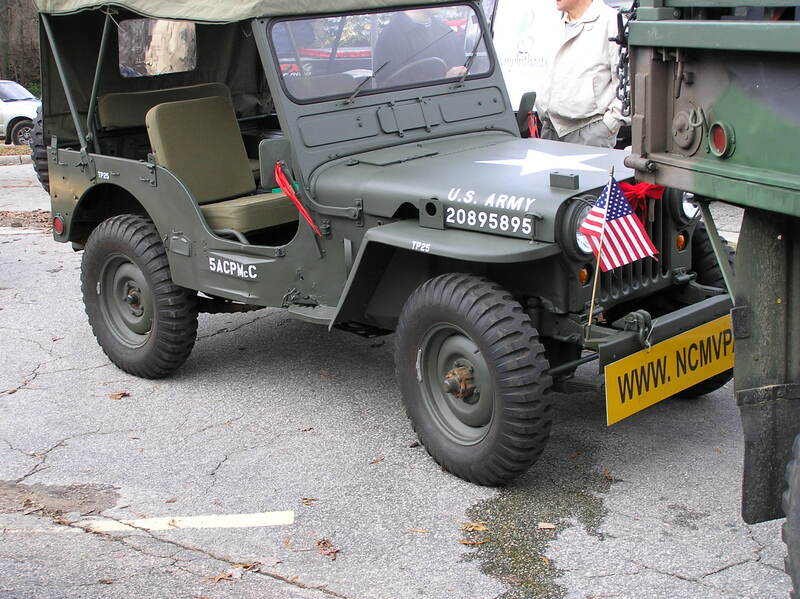 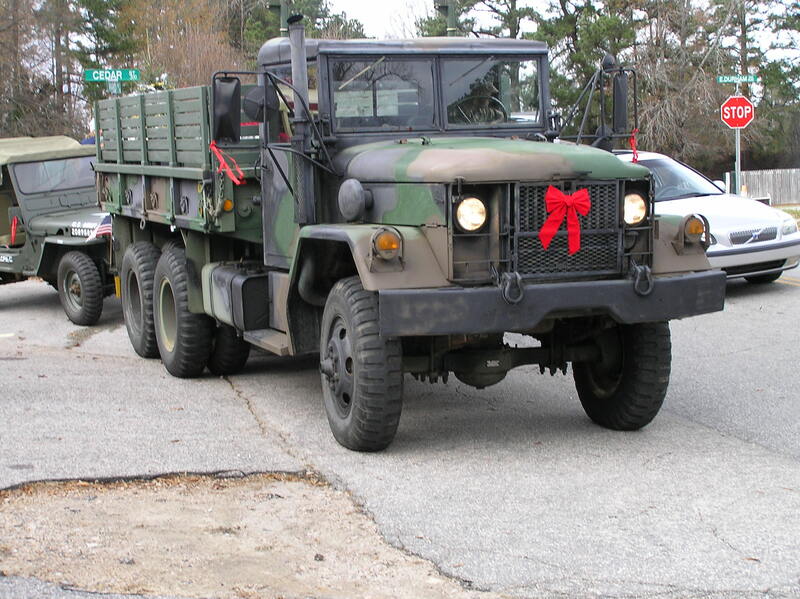 11-12 Amnon's M35A2 in front of the line of NCMVPA vehicles at the Cary parade staging area. 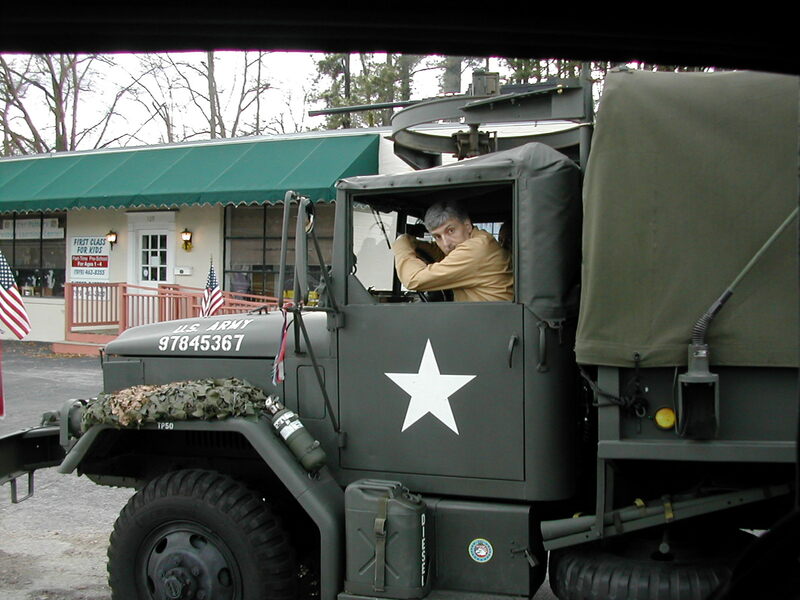 13 Rod leaning into the window of my M37. 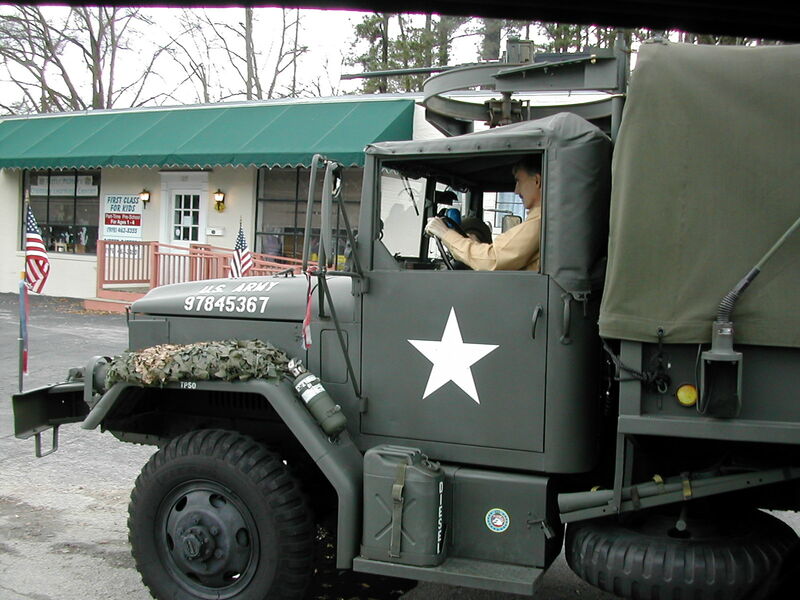 15 My M35A2C with Sargent Bullock of the NC Army National Guard at the wheel. 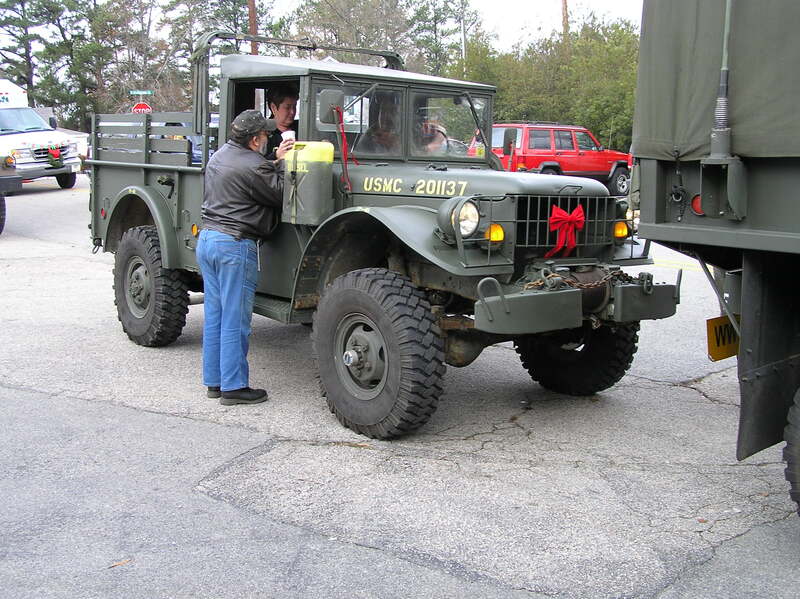 17 Amnon's Blaze bringing up the rear. 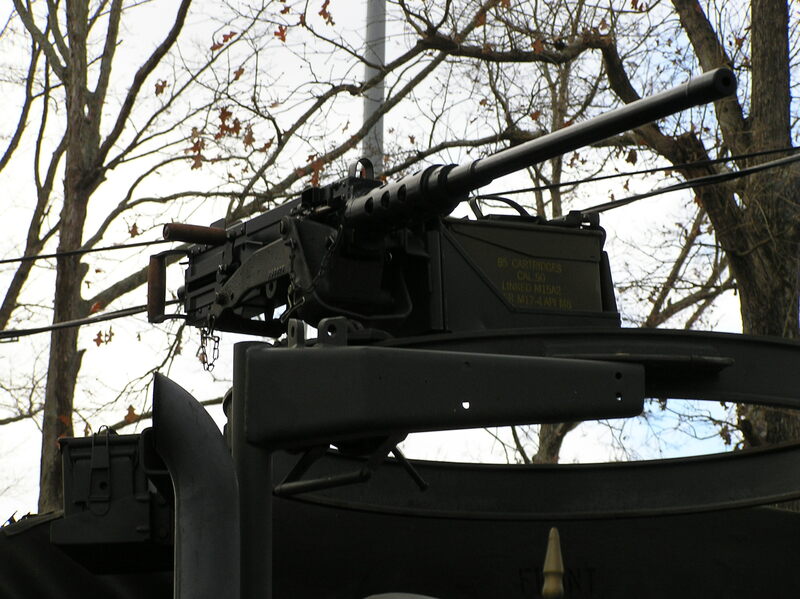 18 Amnon looking into the driver's door of my M35A2C. 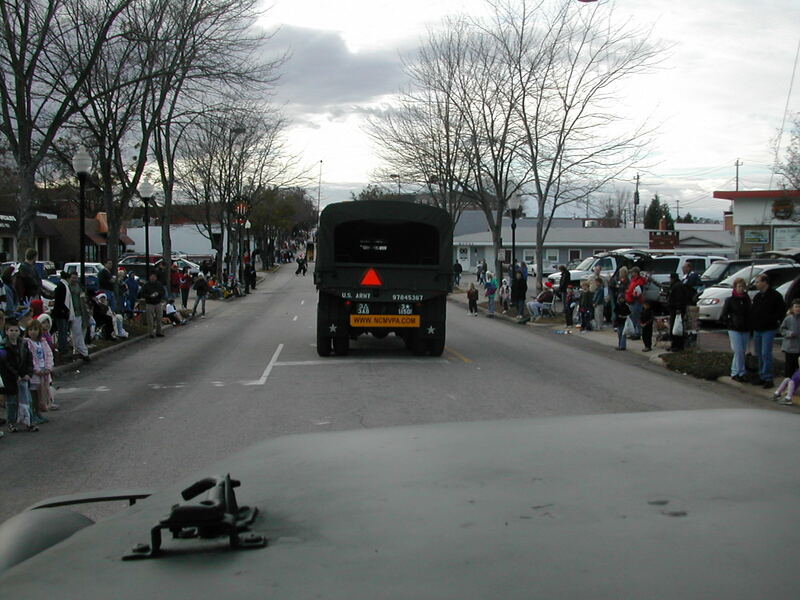 20 My M37 with my M35A2C behind it waiting for everyone ahead of us in the parade to pass so that we can tuck into our assigned spot.